Hey everyone! 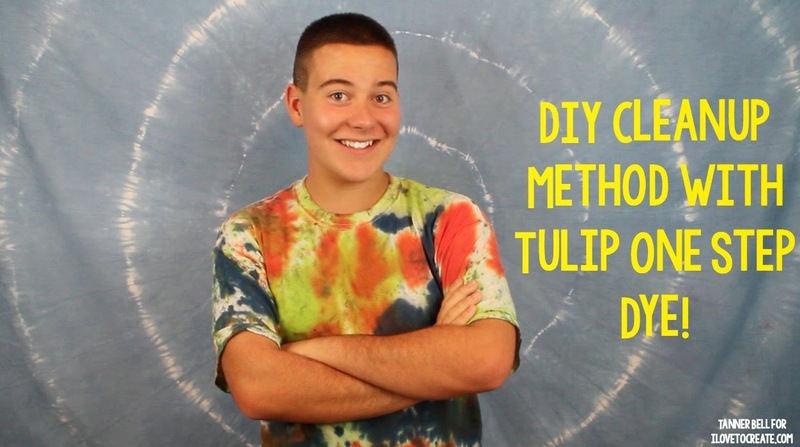 Tanner Bell here, I'm super excited to share with you this DIY tutorial for cleaning up after a tie dye party! I know how much it stinks when you have to waste dye and I don't want you to have to waste any dye- that is why we're going to put down the paper towels and pick up a T-shirt and start picking up the dye. I hope I inspired you to try a new and edgy design! I love how all of these shirts will turn out super unique and can never mess up. I think this design would be perfect for guys or even kids.